The idea of changing the color of a vehicle is often considered until the cost of completely repainting the car is revealed. St. Louis car wraps allow you to completely revamp your vehicle with a different color or design, at a much lower price, through the use of custom made vinyl graphics. A vehicle wrap covers the original color of the car and gives the vehicle a new appearance since the original exterior of the vehicle will no longer be visible once vinyl graphics are placed on the car. In addition, the vehicle will be transformed into a mobile billboard that grabs the attention of customers thanks to eye-catching graphics that brand the business and provide vital information such as the company name, logo, products and services. Solid color wraps are a great option for businesses that don’t want vinyl graphics that are too busy or have “too much going on” with the design. A simple design is easy to view and appealing to the eye. Businesses that desire a more polished look to their vehicle wrap can invest in metallic colors that provide a more polished look. Vehicle wraps can cover both ends of the color spectrum. A rainbow wrap is ideal for someone that can’t pick one color and wants to make a colorful first impression. On the other hand, a camouflage wrap covers the vehicle with splotches of gray, army green and brown and is more subdued in appearance. Custom wraps lets companies brand their businesses with logos, sales promotions and advertising copy. 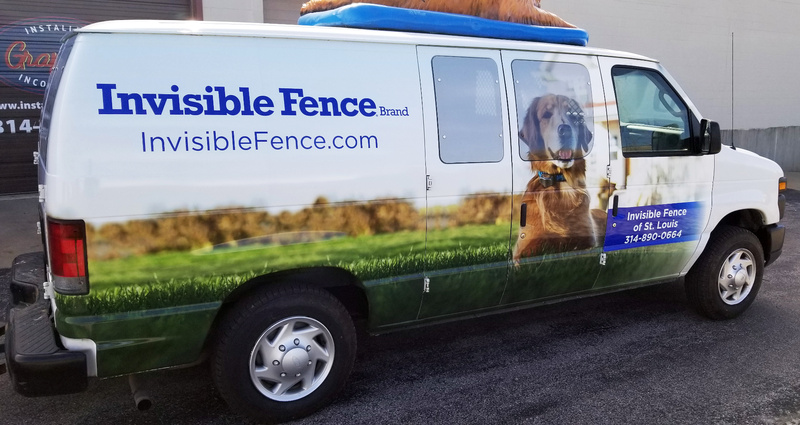 Besides the vehicle wrap branding and promotional benefits listed above, vinyl graphics and wraps have additional uses that many businesses are not aware are available to them. They can be placed on almost any hard surface and this includes tables, floors, appliances, doors, stairs, mailboxes and walls. No matter how wild your imagination runs when it comes to the use of vinyl graphics and wraps, your idea can become a reality once the desired results are discussed with our experienced design and installation team. Refresh, revamp and revitalize the look of your vehicle by giving our St. Louis car wraps specialists a call today.